Board index ‹ Technical ‹ Miscellaneous Problems - Need Help! Post cries for help here if your topic fits no other thread in this category. I am posting this on behalf of my friend who thinks he's locked his keys in his boot. He doesn't have a spare set. He's asked me to help as i'm a bit more practically minded when it comes to cars as i've got a Ford Capri which I tinker with. He has a Lotus Elan m100 SE Turbo. I appreciate that any procedure for accessing the boot will not be posted on a public forum. I'm happy to prove that my intentions are honest in which ever way is necessary to get some help on this. Thank you very much, I really appreciate you help. I will encourage my friend to join the forum and recommend a donation. Hmmmm, I'm a tad concerned with this thread (and I certainly don't mean to cast any aspersions against the OP or his friend). As far as 'proving' who you are, there are ways and means of doing this quite quickly - but only if someone who knows how to do it is online or contactable at the time. As with ANY other new forum members' first post, this one had to be approved by a Moderator before it got into the public section, so John can't really be critisised for offering a resolution by PM, as it is reasonable for him to presume that a Moderator had already 'approved' the request. Just for info, the IP address for the OP is based in Germany and is a static one (so traceable) - there are reports of it being involved in a series of spam attacks last year (mainly on a specific date in july, but a couple in December), but with email addresses which resolve to different names. Basically, nowt to suggest that this isn't a genuine request, but also nowt to say that it is. Just read OPs post on Seloc from earlier today where he was sent over this way. I think he put a post on facebook at the weekend looking for info on how to unlock the boot. The guy put out multiple posts all over many car forums. I think its fair to say this is a desperate call for assistance. Think some perspective is needed here. 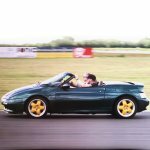 I am have only known of one elan being stolen in recent years with entry made by a small cut in roof hood and then hotwired. The car was found 30 miles away intact and not damaged apart from the aforementioned. The consensus was that 30-year-old security measures and the lack of any aftermarket alarm/ immobilizer made it an easy steal. Anyone breaking into the boot of an elan isn't going to steal the car - it leads to nowhere. I suppose they might nick the toolbox though. Simon_P wrote: Anyone breaking into the boot of an elan isn't going to steal the car - it leads to nowhere. Return to Miscellaneous Problems - Need Help!